This match sees Crystal Palace boss Roy Hodgson looking to inflict defeat on the club he once managed. It’s safe to say Liverpool have kicked on hugely in that time and the Eagles will need their best performance to pick up any points up here. Liverpool’s last performance was described as ‘mature’ after they scraped past Brighton last weekend. Playing at home this time round, the Reds will be hoping for a more polished display in front of the Kop as they continue their bid for a Premier League title. Crystal Palace lost to Watford last weekend despite opening the scoring and the Eagles may have to rely on veteran goalkeeper Julian Speroni to take the gloves this week with both Vicente Guaita and Wayne Hennessey in doubt with injury. The BonusCodeBets ambassador expects a comfortable victory for the hosts. In the standout fixture of the weekend, Arsenal face Chelsea in a must-win match if they are going to challenge for a top four position. Having said that, Unai Emery’s men can be confident heading into this one having lost just once against the Blues in their last seven meetings. However, the north London side do need to bounce back quickly after their shock defeat by West Ham last week and another loss here would almost certainly rule them out of a Champions League spot..
Chelsea, despite being victorious against Newcastle, will need to improve if they’re going to win this game. Talisman Eden Hazard tends to play a big role in these games and this one’s no different for the Belgium maestro as he looks to add to his tally this season. 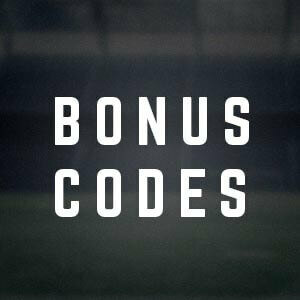 The BonusCodeBets ambassador expects the sides to share the spoils here. The second London derby of the weekend sees Fulham take on Tottenham in Sunday’s 4pm kick off. Fulham continue to struggle with five points separating themselves from the drop zone while Tottenham will be trying to hit back from last week’s defeat. A defeat at the hands of Manchester United last weekend has almost certainly taken Spurs out of the title race but with Solskjaer’s men on the rise, Mauricio Pochettino should be happy if his team were to get in the top four this season. Spurs will be favourites heading into this one but searching for goals may prove tricky with both Harry Kane and Heung-Min Son absent. Fulham lost yet again last weekend despite their opponents not registering a single shot on target. Claudio Ranieri has a tough ask to keep his team up but perhaps the acquisition of Ryan Babel this week could signal the start of a turnaround. Home victories will be key to surviving the drop but the Whites would be happy with a point here. 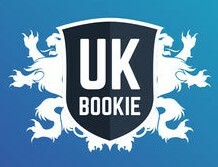 The BonusCodeBets ambassador expects Tottenham to be too strong for Fulham and predicts a 2-0 victory.